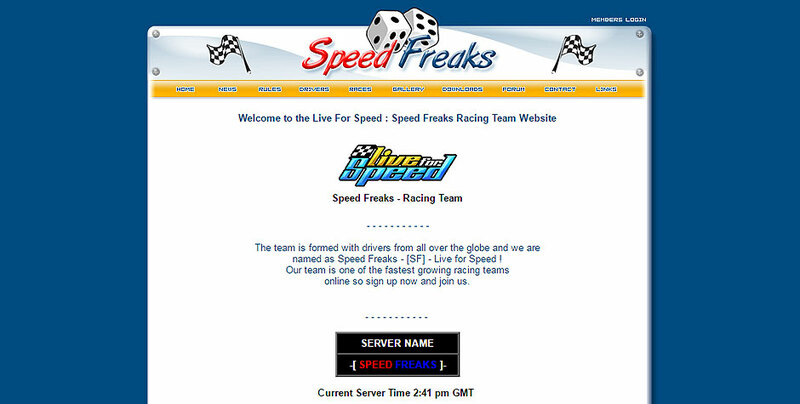 Speed Freaks is a site created for a online car game racing team. The game they are apart of is Live for Speed LFS. The aim was to have a simple yet usefull clean design.